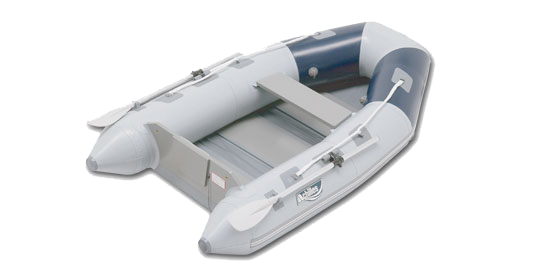 The Dinghy Doctor has long been San Diego’s largest inflatable boat and outboard experts. After 18 years of serving the boating community, the owners decided to pursue other endeavors and close their business. When Barrett Canfield and Rick Day of South Coast Yachts heard that San Diego was going to lose this important maritime vendor, they decided something had to be done. 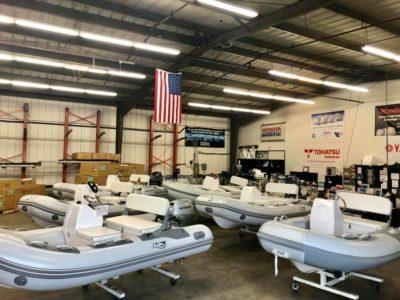 They quickly put together a deal to acquire the Dinghy Doctor, so that they could bring the same great service that people receive from South Coast Yachts to the inflatable boat community in Southern California. They brought in Charlie Winter to the team as General Manager. Charlie is committed to superior customer service, and engaging with new and experienced boaters alike. 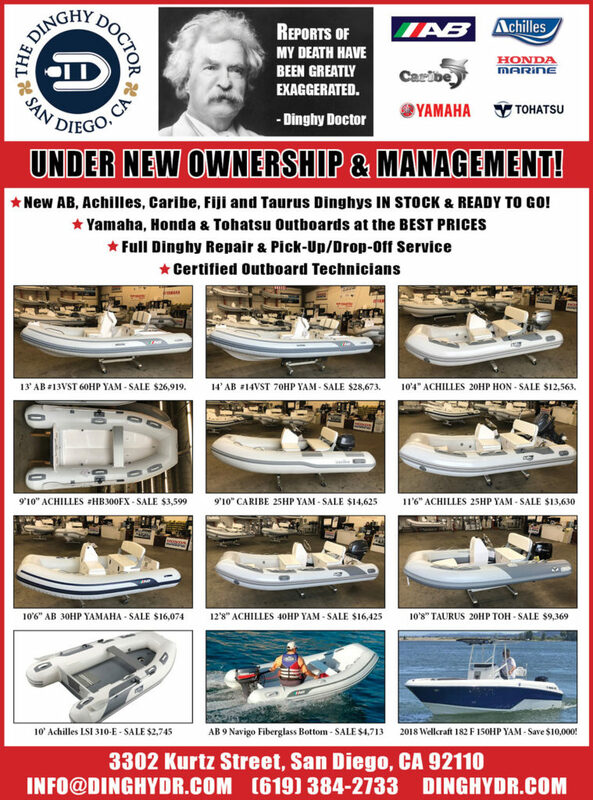 The Dinghy Doctor is centrally located in San Diego “where the 8 meets the 5”; and will continue to carry trusted boat brands such as AB, Achilles, Caribe, & Taurus, as well as Honda, Tohatsu, and Yamaha Outboards. We stock a wide variety of inflatables from AB, Achilles, Caribe and several other brands. We also service and commission inflatables. Check out our large selection of outboards from Honda, Yamaha and Tohatsu in a variety of horsepower. We specialize in outboard motor & inflatable repairs and maintenance. 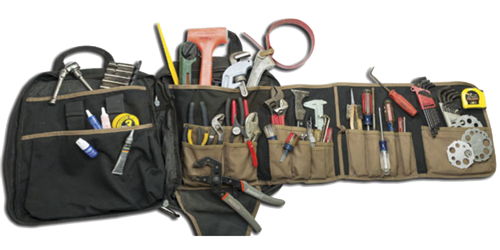 From annual maintenance to troubleshooting, we have you covered. Check out our monthly service specials. 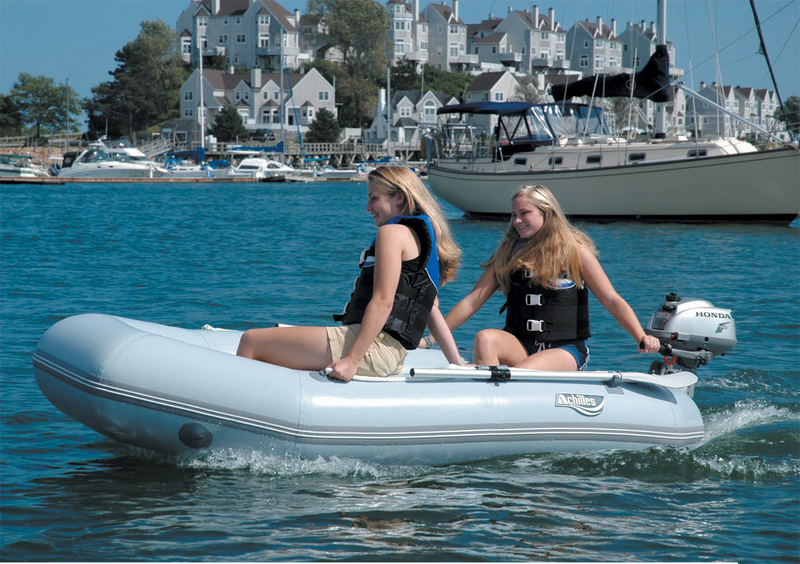 Check out our instock specials on outboards and inflatable as well as our service deals! These change often, so check back soon! From drink holders to anchors, we have what you need to expertly outfit your inflatable. If we don’t have it, we can get it for you! Come join us for a free seminar on inflatable repair, outboard maintenance or for one of our dinghy raft ups in San Diego Bay! Get the answers for some of the more common questions. Of course, please contact us directly if you cannot find the answer you are looking for! The Dinghy Doctor is dedicated to establishing and maintaining relationships built on trust and service while satisfying our customer’s boating needs. The Dinghy Doctor is dedicated to treating all of our customers better than they expect to be treated. We strive to be regarded by our customers as the very best company in the industry. The Dinghy Doctor will actively work to better the boating experience for our customers and our community. The Dinghy Doctor will make sure that EVERYTHING we do ultimately serves the customer, whether we work in sales, service, administration, marketing, or management. Please contact us via the form below and we’ll get back to you as soon as possible or you can give us a call at (619) 384-2733. Do you like to fish from your inflatable?